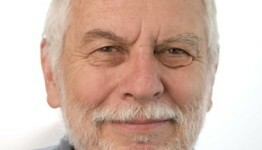 Yesterday evening I met Nolan Bushnell at an event in Santa Monica called Educelerate at which he was a speaker. I introduced myself as a game developer and asked him if I could show him my ping pong game! He said sure, and I experienced the feeling of showing the creator of Pong and of all of my favorite Atari Games growing up, my and my friend’s newly created version of an old standard, now made with the most current technology available…..and He really liked it! I actually think we delighted Nolan Bushnell with a surprise! I thanked him for being there for millions of kids and grown-ups through our lives with his innovative learning/playing toys and games. I told him about my Christmas present under the tree when I was in 4th grade, and how I unwrapped the corner to make sure my mom and dad got me the Atari I wanted. They did, and I could relax and await the morning! He offered to Tweet about it. He said he was definitely putting it in his phone!